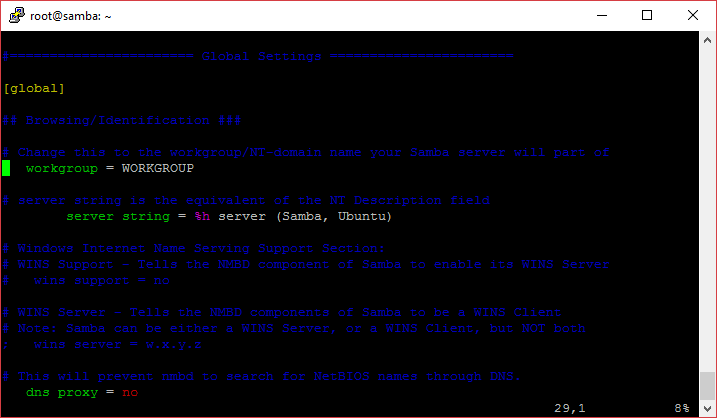 Samba is an incredibly useful, open source program for setting up and/or accessing network shares from *nix operating systems. 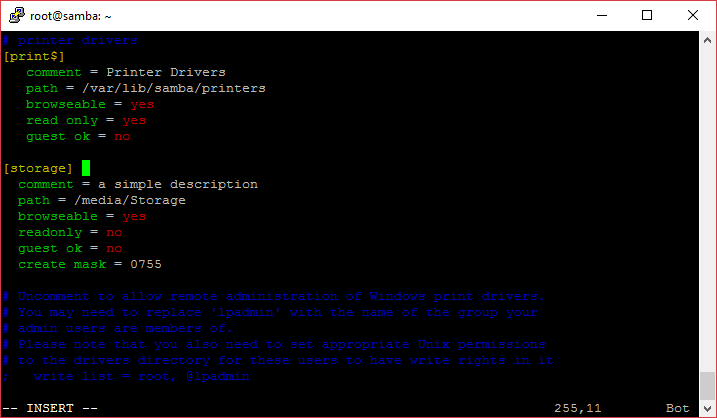 Samba shares are easily accessible from any modern OS using SMB/CIFS. Originally designed for DOS, SMB/CIFS is the most commonly used protocol for the sharing of directories and printers in the enterprise and Samba was created to guarantee a level of interoperability in mixed-OS environments. 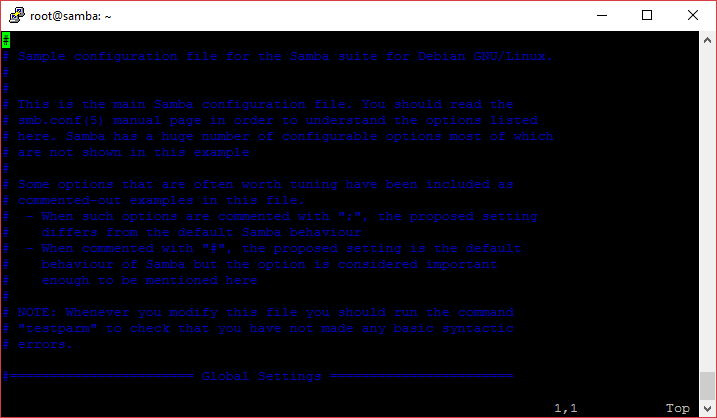 Check out the video below for a walkthrough demonstrating how to set up Samba on a Ubuntu 16.04 LTS host. The written guide is below as well. NB: Ubuntu 12.04 LTS is the earliest release I’ve used this with. It should work on earlier versions also, but your mileage may vary. After this operation, 70.7 MB of additional disk space will be used. If you’re happy with that, tap Enter to continue; Samba will install quite quickly and you’ll be ready to move on to configuration. /media/Storage can be substituted for any file path you wish to share. WORKGROUP can be substituted for a domain (such as bytn.uk shown in my video) or a custom workgroup name. create mask is optional, but I’ve found it useful on occasion. The mask 0755 will give write permissions to the file owner (the user authenticating when uploading a file/folder) and read & execute permissions to everyone else. This could well instead be 0740 to allow the owner to edit, the file group to view (but not execute) and everyone else to have no permissions at all. Configure it as required. guest ok is the difference between everyone being able to access the share without a username/password and authentication being required. In this instance I’ve required authentication in order to mount the share on a remote client as the data stored may be of a sensitive nature. 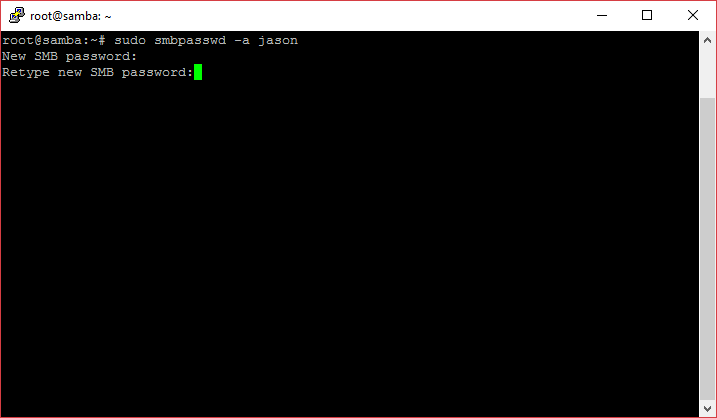 The password doesn’t have to match that of your Ubuntu user account, it can be totally unique to Samba (which isn’t a bad idea!). 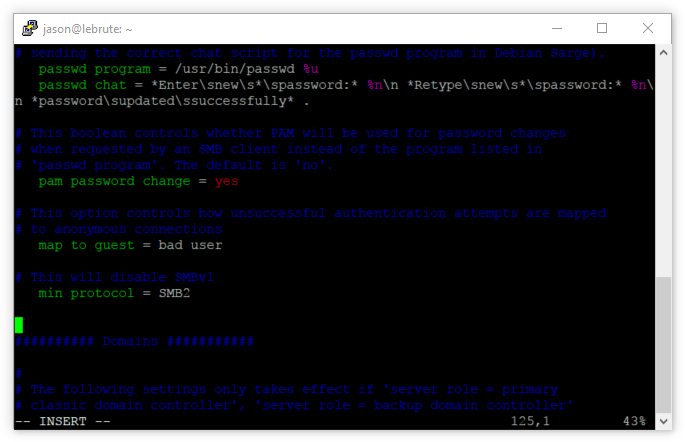 If you need to add other Samba users, create a new unix account on the Ubuntu server and repeat the process above for the new user. You should now be able to access the share from another machine!